Stunning Executive home in Lakeshore woods on sought after child friendly street backing onto heavily treed Ravine setting. This Rosehaven Randal Model Home features just under 3000 sq ft above grade plus a fully finished lower level. 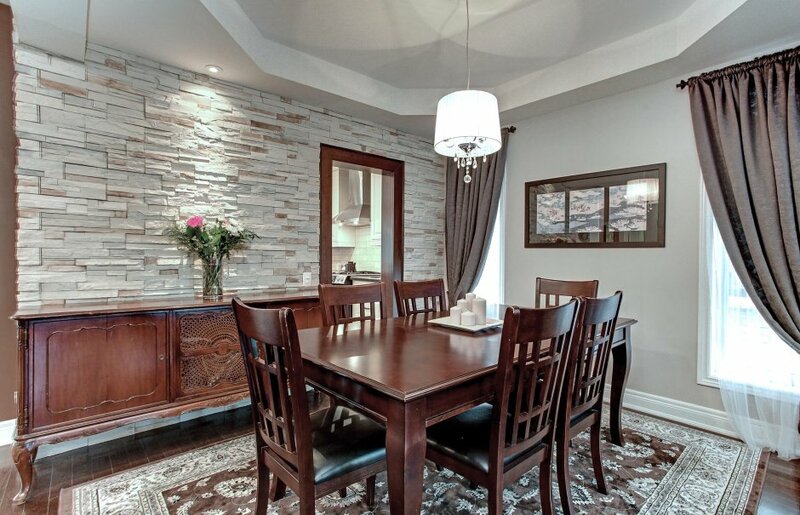 The home offers an attractive layout with neutral décor throughout and features hardwood floors throughout the living room, dining room, family room, main floor office, main and upper hallways. The main level also offers 9’ smooth ceilings, an open concept kitchen/family room with upgraded white kitchen cabinetry and dark stained center island, granite countertops, jenn air s/s appliances, eat in breakfast area with walk out to elevated wooden deck, and a large family room with custom built in cabinetry & natural gas fireplace with custom stone mantle. 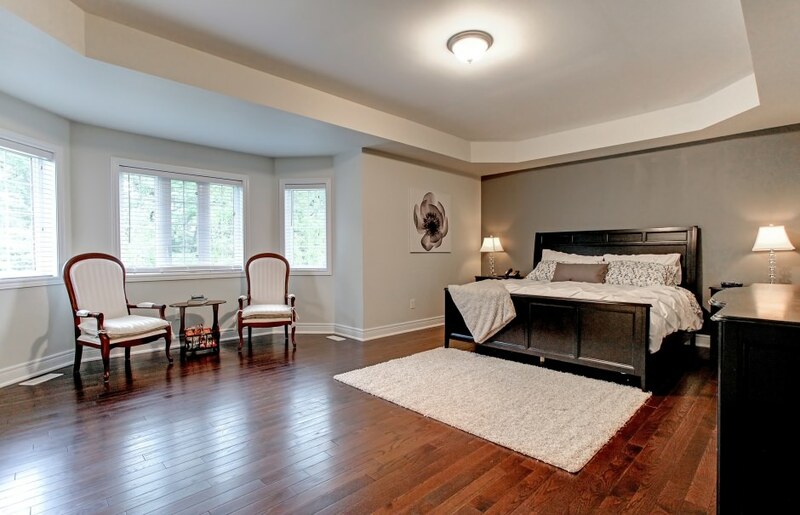 The second level features generously sized bedrooms all with ensuite capability, and a large master retreat with hardwood floors, walk in closet and private ensuite bath featuring seamless glass shower, large deep soaker tub and his and her vanities. The fully finished lower level features a large rec room with laminate wood flooring, modern linear style natural gas fireplace, over sized windows allowing for great natural light and a 3 pc bath with seamless glass shower. The outside of the home features a fully landscaped front and rear yard, an elevated wood deck, interlock stone patios and walkways. Within easy walking distance of the lake, shell park, leash free dog park and walking trails.